Trailer for upcoming Korean film "Memoir of a Murderer"
In his past, Byeong-Soo (Sol Kyung-Gu) was a serial killer. He now suffers from Alzheimer’s. Byeong-Soo has a daughter, Eun-Hee (Seol Hyun), but he actually took her from one of his victims. One day, he remembers Eun-Hee's boyfriend (Kim Nam-Gil) approached Eun-Hee to kill her. To protect Eun-Hee, he fights to keep his memory and he plans to kill Tae-Joo. "Memoir of a Murderer" is based on the novel "Salinjaui Gieokbeob" by Kim Young-Ha (published July 25, 2013). Director Won Shin-Yeon is well-respected for his previous movies "A Bloody Aria", "Seven Days" and "The Suspect". 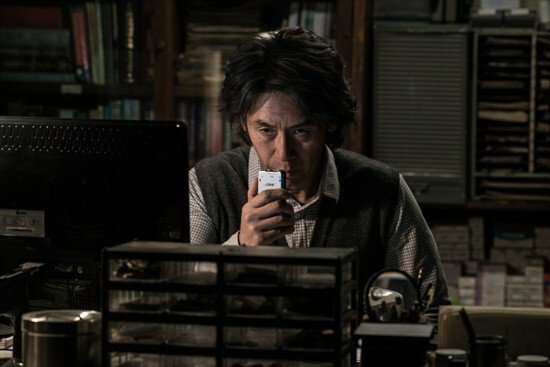 Asian Film Vault: Trailer for upcoming Korean film "Memoir of a Murderer"